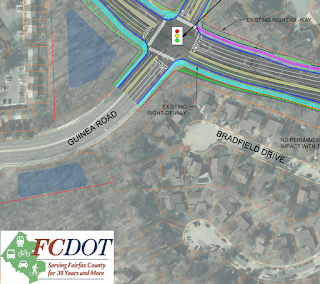 FABB is encouraging local cyclists and other interested citizens to attend the Fairfax County Department of Transportation (FCDOT) community meeting on proposed pedestrian overpasses along Braddock Road next week. The meeting will be on Thursday, November 8, 2018, at 7:00 pm in the cafeteria of Lake Braddock Secondary School. 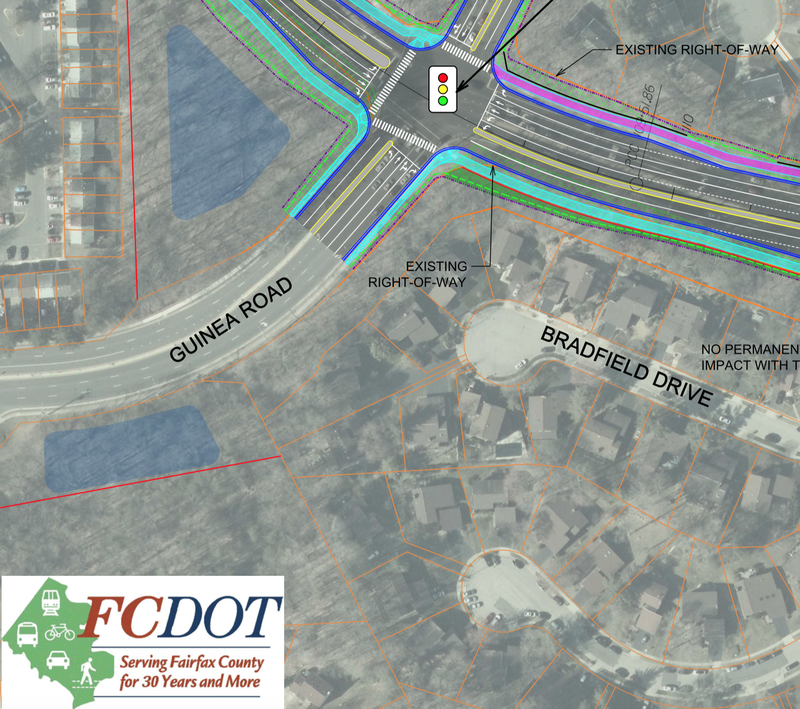 Fairfax County is working with Braddock District Supervisor John Cook and members of the community to develop and evaluate a number of improvements for the Braddock Road corridor between Guinea Road and I-495. The overpasses would provide an "elevated crossing alternative" that would not affect traffic flow at major intersections on Braddock Road.Residents who attend the meeting can learn about and comment on the proposed pedestrian crossings, the designs being considered, and possible locations for additional crossings. In addition to the overpasses, potential improvements may include additional travel lanes, HOV (high occupancy vehicle) lanes, and other intersection, pedestrian, and bicycle improvements. Please contact Supervisor Cook's office by email or call 703-425-9300 with any questions.